Note: This web mapping service is slow. You might need to wait for 2-5 minutes to launch the Web map. Damaged House Map in Google Map (by Serge Rey and Tong Zhang). We converted 390 addresses (So this is not a complete list) of destroyed houses into X,Y coordinates and map them on a Google map. 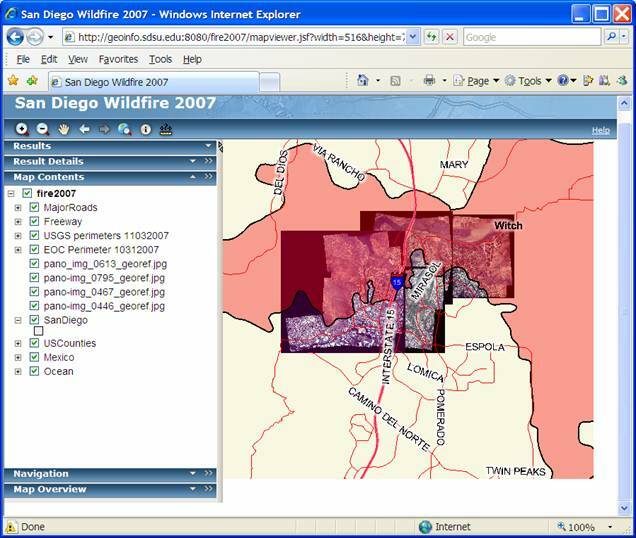 All information are based on the public records from city, county, and media (CBS News8). Since the geocoding processes can not generate 100% accurate positions, some locations of houses may not be correct. 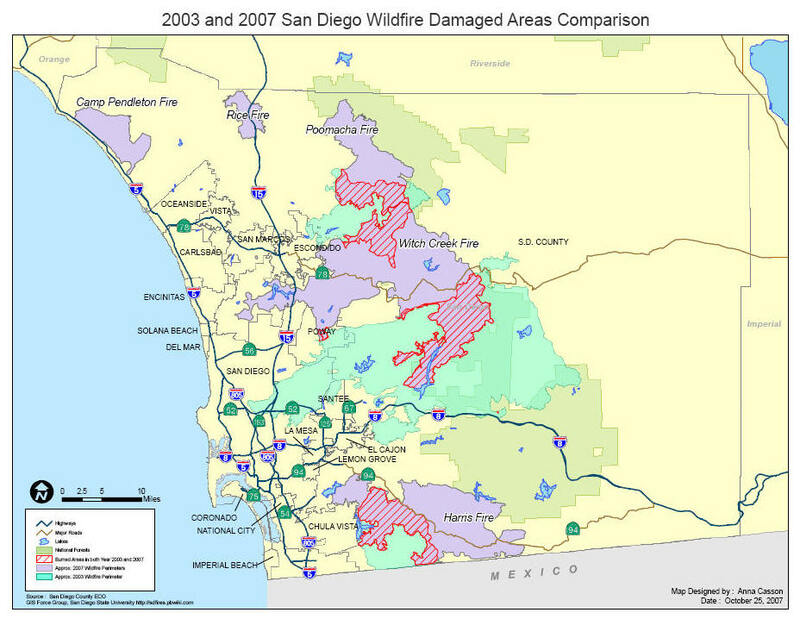 Damaged House Map (Another version) http://geoinfo.sdsu.edu/sdfire/ (by Serge Rey and Tong Zhang). We converted the current lists of destroyed house addresses into X,Y coordinates and mapped them on the Google map. 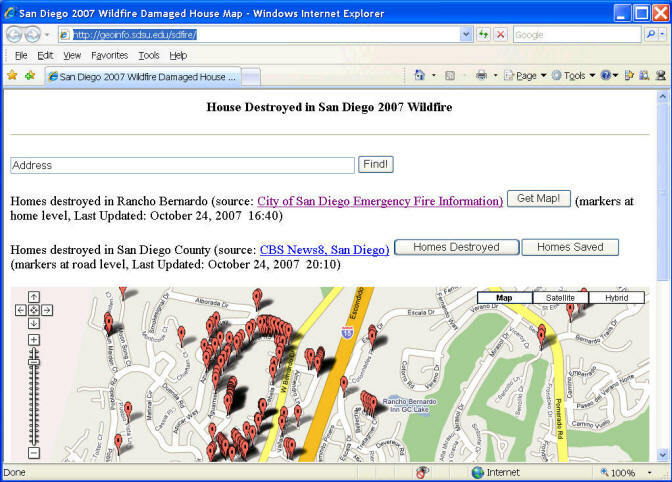 All information are based on the public records from city, county, and media (CBS News8). Since the geocoding processes can not generate 100% accurate positions, some locations of houses may not be correct. Oct. 25. 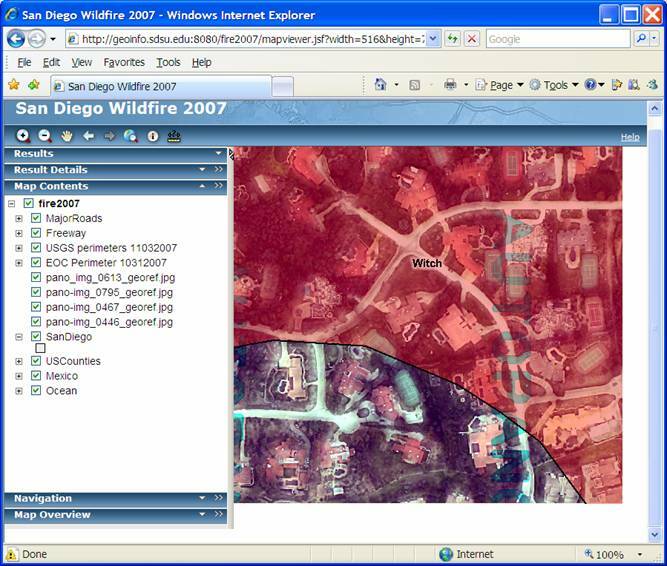 Geocoded destroyed houses listing in Rancho Bernardo (Comma delimeted Python script) provided by Serge Rey. The Damaged Areas comparison map with Watersheds and Rivers (created by Anna Casson <acasson@jsanet.com> ). PDF file. 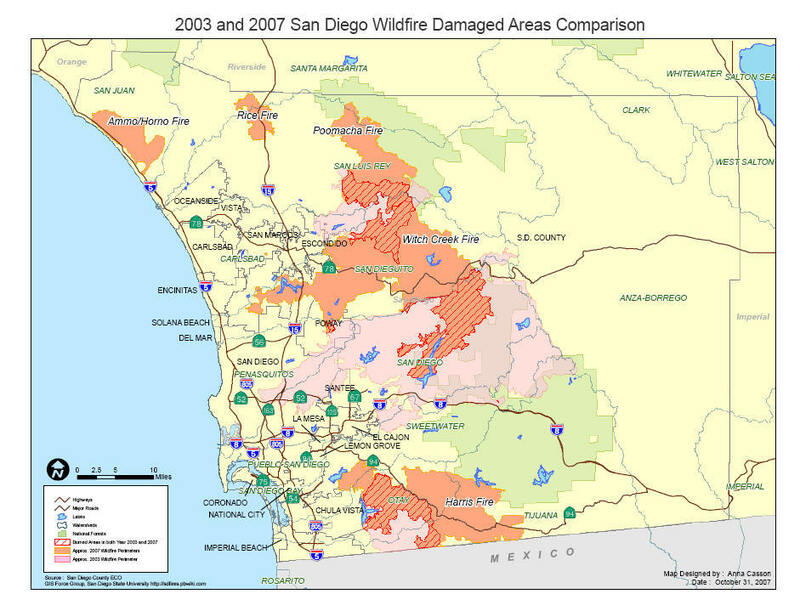 The Damaged Areas comparison map (created by Anna Casson <acasson@jsanet.com> ). PDF file.